Daydreaming about planting your summer garden? Selecting the right bulbs now is the first step. 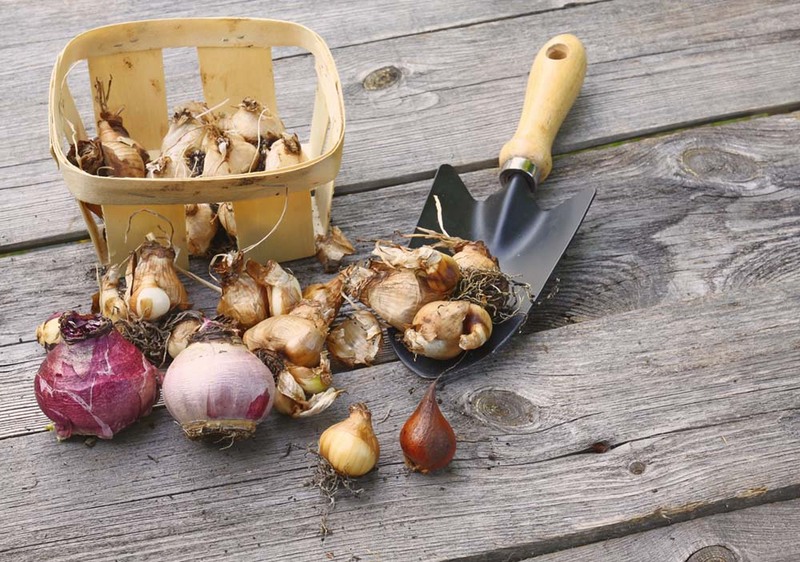 With all the choices in catalogs and on websites, ordering bulbs, corms, rhizomes and tubers can seem a bit daunting. You have to pay attention to the planting time, height, bulb size, and bloom time, not to mention how they’ll be used in your garden. But don’t be discouraged. Use this short guide to simplify your shopping experience and maximize your yard’s potential. 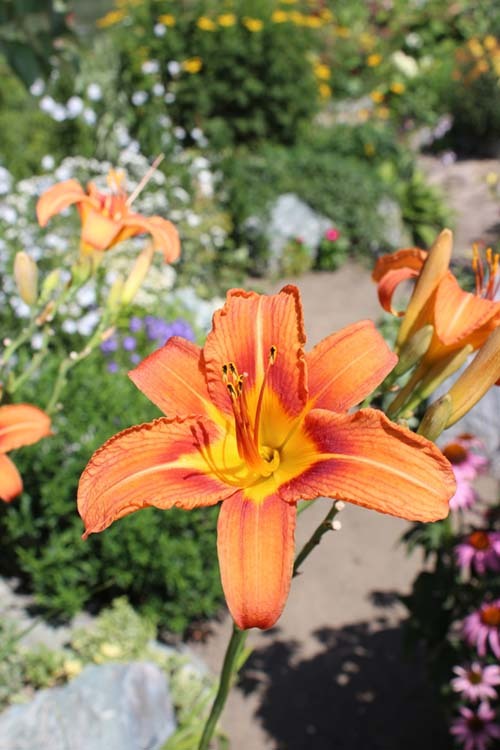 Plant daylily bulbs now to see explosions of color in your garden this summer. It’s winter and you’re itching to order those daffodils and crocuses. I hate to be the bearer of bad news, but you’ll have to wait until fall to plant those so they’ll receive the chilling hours they need and can become established over winter. You might get a fizzle of flowers if you plant them too late, but the plants will probably fizzle out, too. Now is really the time to order summer-blooming bulbs like Agapanthus, gingers, caladiums, and daylilies. Because many summer-blooming bulbs hail from the subtropics and are tender to frosts and freezes, they will likely ship after the last-frost date. Order and plant fall-blooming bulbs in late summer so they’ll emerge from summer dormancy and bloom in a few weeks. You can place your bulb order now, and they’ll usually ship as soon as it’s appropriate. Consider these factors when choosing bulbs to order. Timing. Rather than just ordering what looks good at the time, brainstorm for ways to get the biggest bang for your buck. Choose bulbs with different bloom times so you get a procession of color through the season, or even all year. Height. Have you ever had to stand behind someone tall in a group photo? Well, that’s what happens if you inadvertently plant short blooms behind taller ones. Pay close attention to the heights of each bulb you order, and make a note of those heights when you plant. Color. You don’t need a degree in color theory to design a coordinated flowerbed, but it helps to keep it simple. Work with your home or garden’s existing color scheme, or have a little fun by adding a new color to the mix. After all, even if the colors clash, the offending blooms won’t last long, and you can always plant them elsewhere later. Drainage. Choose bulbs that are appropriate to your garden and your region. Most bulbs don’t like wet, poorly draining soil, but if you don’t have a free-draining spot, grow moisture-loving bulbs like Louisiana irises and Hedychium gingers. Light. Most bulbs like plenty of sun, and they’re good for massed plantings in unmown fields or for naturalizing under deciduous trees where they still receive plenty of light from winter through blooming. Shade-loving bulbs such as toad lilies, squills, snowdrops and gingers are the perfect match for the space beneath shade trees where nothing else seems to grow. Temperature. Since most spring-blooming bulbs require plenty of chilling hours, gardeners in Zones 8-11 should only grow bulbs that have either low-chill requirements or hail from subtropical or Mediterranean climates. Otherwise they can be a disappointing experience. Type. Variety may be the spice of life, but avoid the mistake of ordering a “box of chocolates.” In other words, rather than picking one of each bulb, plant many bulbs of only a few types, and use them to create natural-looking drifts and clumps. Don’t line up a bunch of different bulbs like soldiers in your flower beds. Size. Bulbs are graded by size. Large bulbs bloom best, so plant these where you need impact sooner as opposed to later. However, big bulbs are also pricy. Smaller bulbs are more economical, not only for their price, but because they multiply and become established over time. Plant small bulbs if you plan on naturalizing them or leaving them in the same place. Medium-sized bulbs offer the best of both worlds. A box of diseased and dying bulbs can spell disaster, so it really pays to choose a reputable dealer. Brent and Becky’s, Plant Delights and Annie’s Annuals are only a few of the good vendors out there. Pay close attention to customer reviews and ratings before making a purchase. If you’re buying bulbs in a store, avoid any dried out, mushy or damaged bulbs. Inspect your bulbs as soon as they arrive, and plant as soon as it’s appropriate. Healthy bulbs should feel firm and heavy, and show no damage. If you receive anything mushy, smelly, dried out or otherwise questionable, contact the vendor immediately and request replacements.